I loved the silhouette the frame-work of the door made against the bright sunshine outside. I can’t imagine how many man hours it took to carve the frame and then also to carve the door. Did they carve the door first, or the door frame? I’ll never know unless I can step back in time to Leeds Castle. 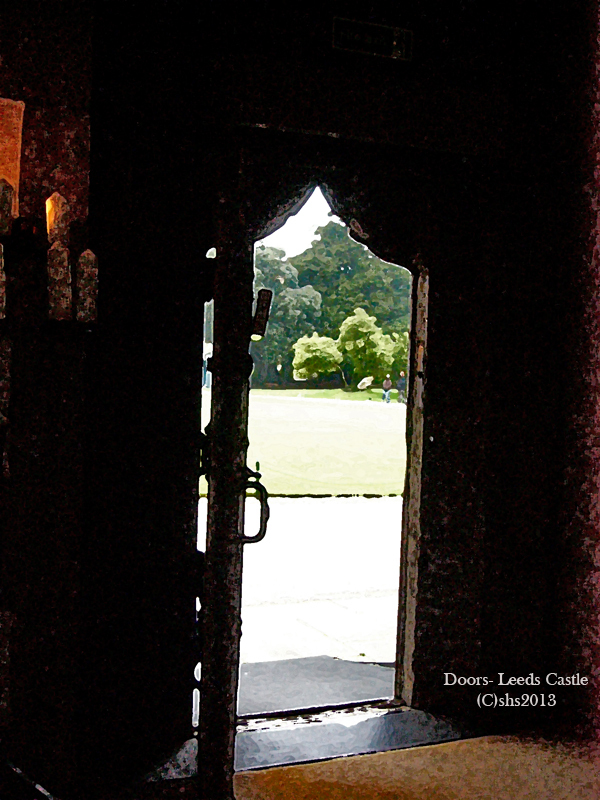 This entry was posted in Architecture, Doors, England and tagged Doors, England, English Properties, Leeds Castle, Travel photography. Bookmark the permalink.